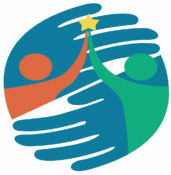 We are pleased to announce the Oxfordshire Social Care Awards 2019; a sector-wide opportunity to celebrate the fantastic work delivered by care providers that make a difference every day and to recognise particular individuals who make it happen. Nominations need to be submitted by 4pm, Friday 15th February 2019. Winners will be announced in week commencing 11th March and Awards given at our Conference on Friday 22nd March 2019. This event will also celebrate outstanding services and host OACP’s AGM. There are nine Awards up for grabs. We want to hear how your nomination makes a difference every day. The Newcomer to Care Award seeks to identify new starters in social care who can inspire others to join the sector. Nominees must have started working in Oxfordshire’s social care in 2018. They may be of any age; this year has seen their first step into social care with a significant impact in their first months. The Care Employer Award seeks to acknowledge and celebrate an employers’ commitment to care and how this is achieving success in delivering an excellent service. Employers should be able to demonstrate considerable acumen and entrepreneurial flair whilst at the same time having a sustained track record of delivering high quality care and managing improvement. The Care Home Worker Award recognises the significant role of the Care Home Worker in consistently providing a high-quality standard, for people living in residential or nursing care, including hospices providing end of life care. Evidence of involving family and friends where appropriate, dedication, awareness of colleagues and career development through training will be important elements for the judges. The Home Care Worker Award recognises the significant role of the Home Care Worker in consistently providing a high-quality standard, for people living in their own homes. Evidence of involving family and friends where appropriate, dedication, awareness of colleagues and career development through training will be important elements for the judges. This category is also open to approved Support with Confidence Personal Assistants. The Community Services Worker Award recognises the significant role of Support Workers who work in the community (including in employment support and educational support where it is an integral part of someone’s social care), day time support or day centres, consistently providing a high-quality standard of support for people aiming to maintain independence. Evidence of involving family and friends where appropriate, dedication, awareness of colleagues and career development through training will be important elements for the judges. This category is also open to approved Support with Confidence Personal Assistants. The Registered Manager Award recognises essential leaders for services registered with Care Quality Commission. This category is open to anyone with Registered Manager qualification who is responsible for leading their service in Oxfordshire. We are looking for leadership qualities and people who are an inspiration to work for. The Registered Nurse of the Year Award aims to recognise a Registered Nurse who has made an outstanding contribution to the care of adults in an adult social care setting. The Award is for those who have demonstrated exceptional high-quality care and nursing professional practice. Shown a passion for the nursing profession by going the “extra mile” demonstrating a “can do” positive attitude, shown compassion and empathy for those in their care. This category is open to Registered Nurses only. The Long-Term Service Award aims to recognise the Long-Term service of an employee who has made an outstanding contribution to a Care organisation (min. service period 10 years), who through their working life have passionately made a significant difference to the organisation and in doing so have made a transformative difference. This category is open to Long-Term service employees only. The Oxfordshire Hero Award seeks out those special people who go above and beyond their professional role. Perhaps they have maintained a high level of care or support for some time or gone out of their way to help someone achieve a very specific wish or aim. This category is open to anyone working in social care, including approved Support with Confidence Personal Assistants and also those staff carrying out back-office functions and services (cleaning, catering, administration, etc). Entries will be judged by a panel of family carers and professional people engaged in the sector. Book your place by registering below.